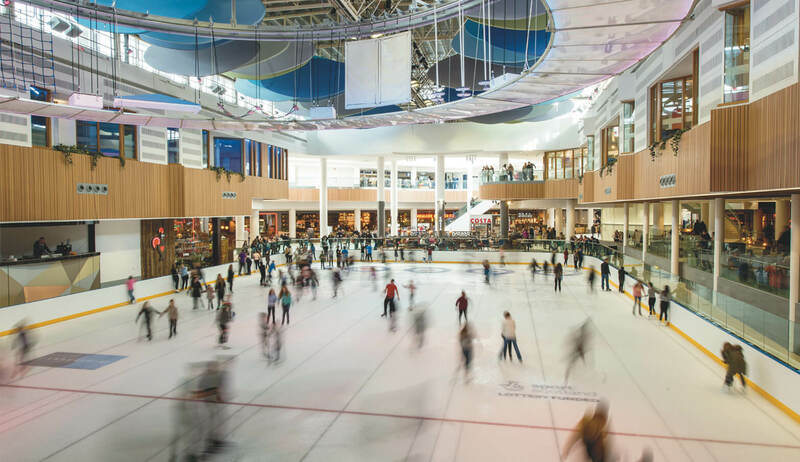 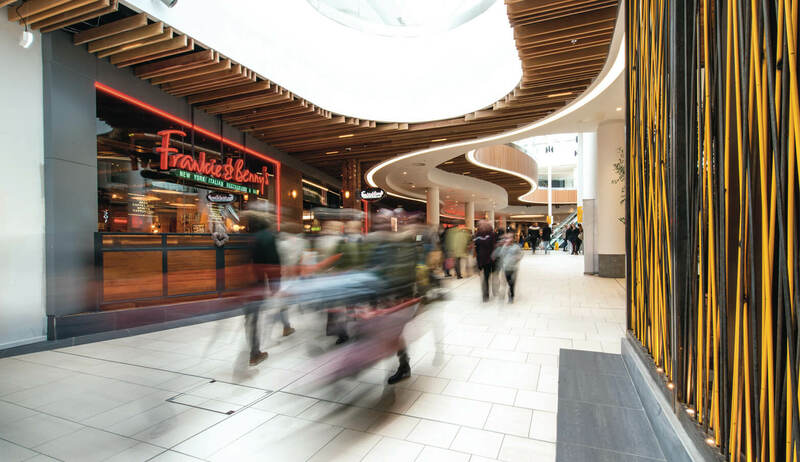 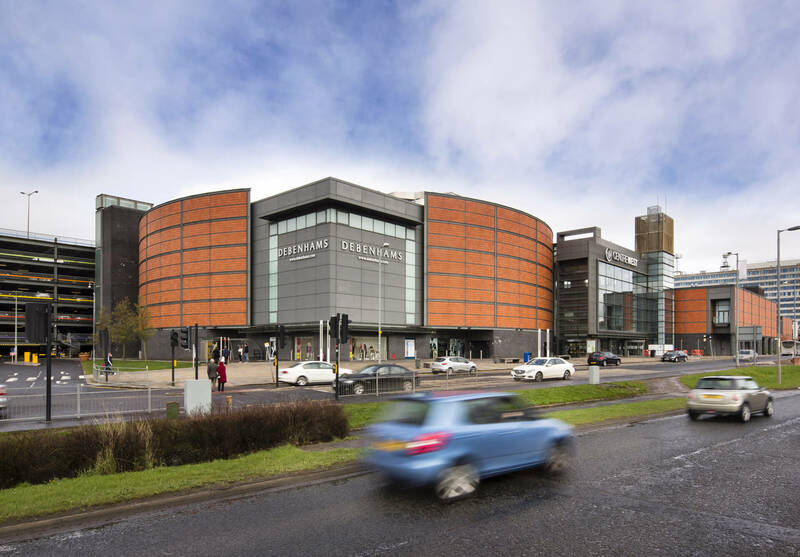 Boasting in excess of 13 million visitors annually, East Kilbride is Scotland’s largest undercover shopping and leisure centre. 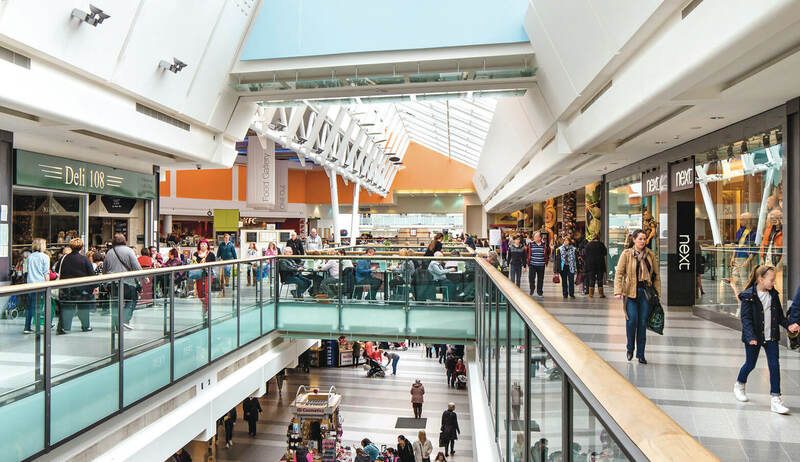 Having undergone extensive refurbishment the Olympia Mall element of the Centre was rebranded ‘The Hub.’ Anchored by a nine screen Odeon LuxeCinema, Pure Gym and ice rink, The Hub additionally offers a vertical climbing wall and high altitude adventure course including a zip line, traverse wall and various obstacles creating an adrenalin fuelled fun area for children aged seven years and above. 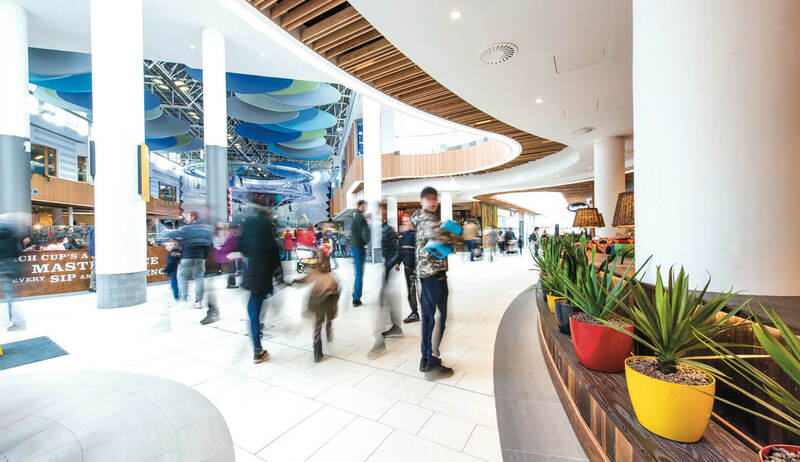 A themed soft play area for younger visitors and extensive range of late opening eateries completes the compelling offer. 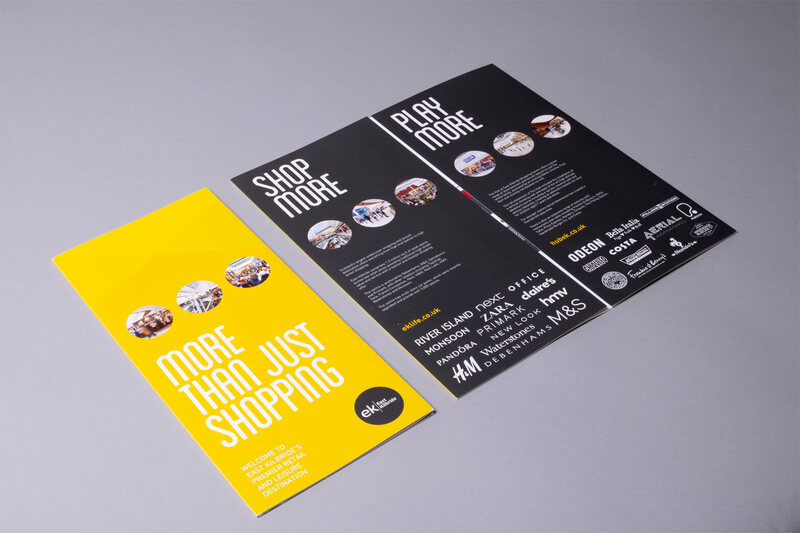 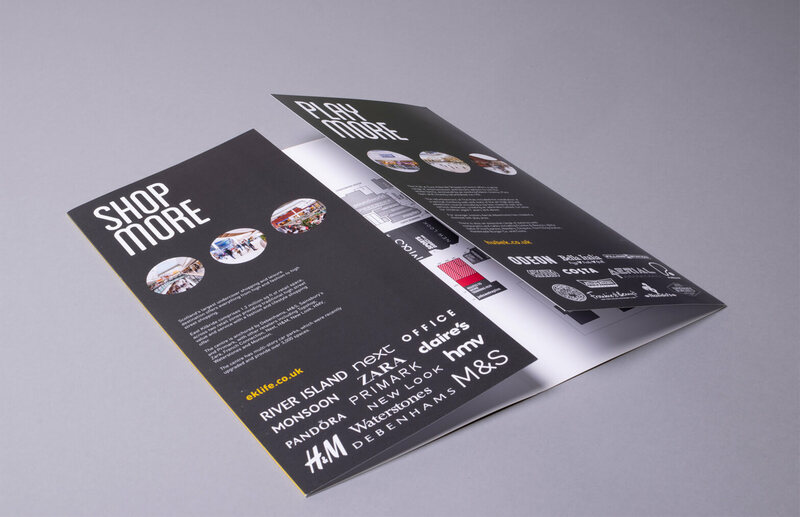 New marketing collateral was required to highlight the range of opportunities at this exciting new family destination. 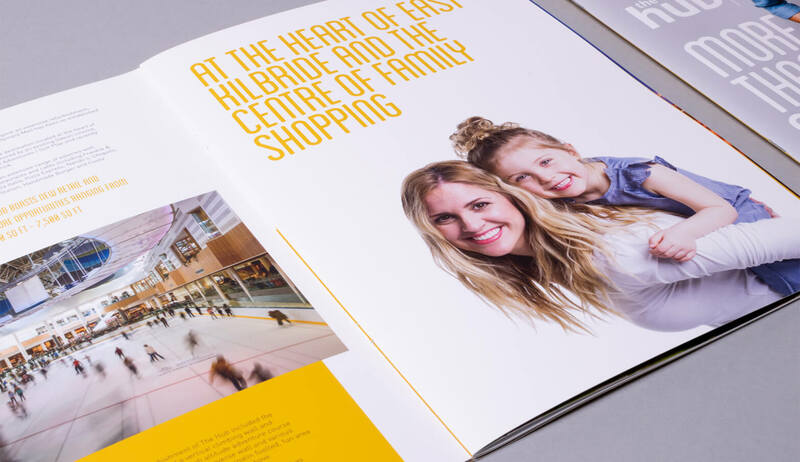 Additionally a Centre plan was required that featured both The Hub and all various elements of East Kilbride Shopping Centre. 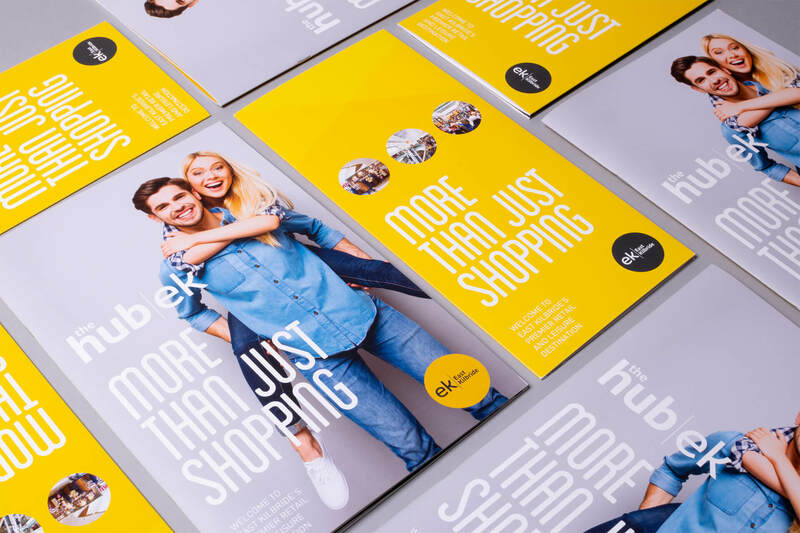 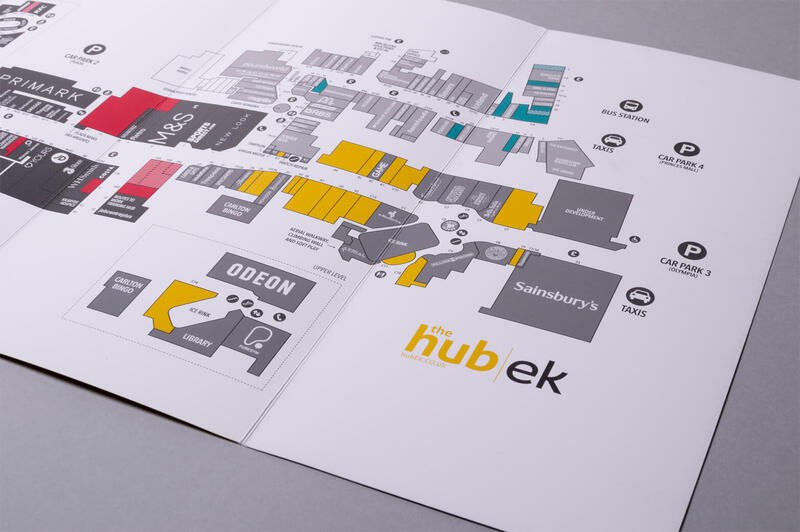 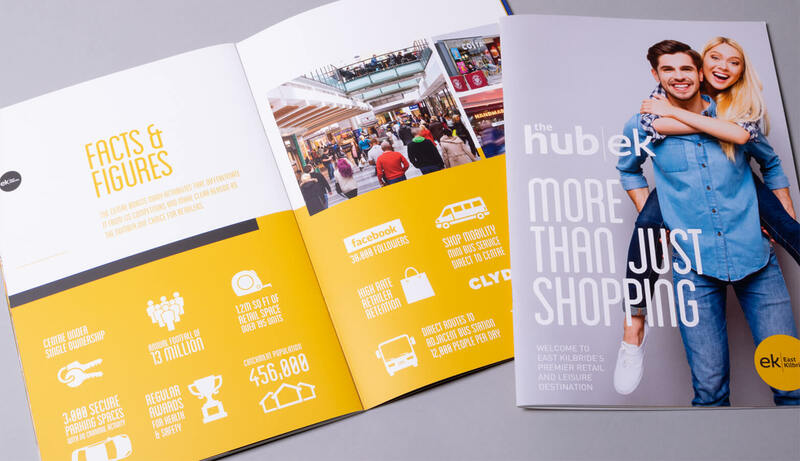 Given the Centre’s impressive scale an eye catching, image led large format brochure was designed to showcase the Centre and in particular the newly renovated Hub. 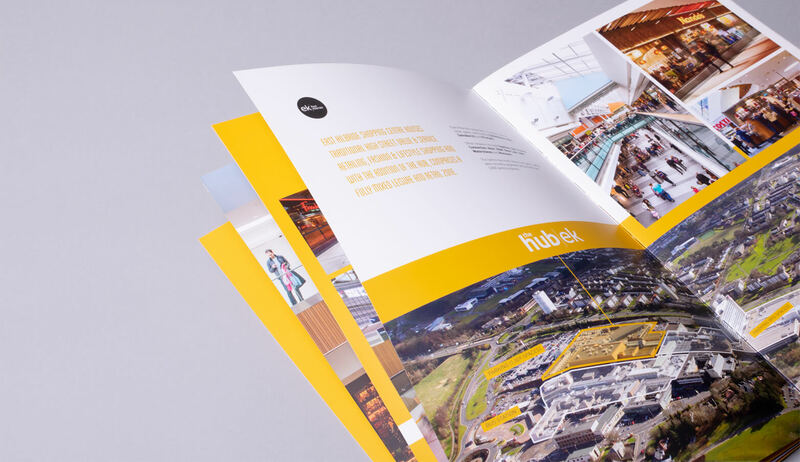 A vibrant yellow and white colour palette was chosen with heavy card and matt lamination providing a finish and feel befitting this buzzing destination. 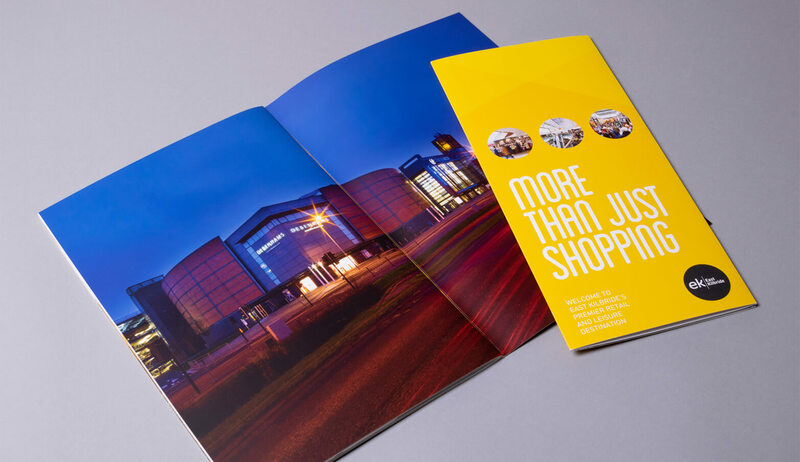 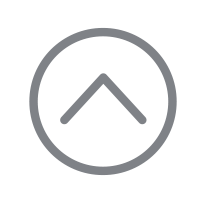 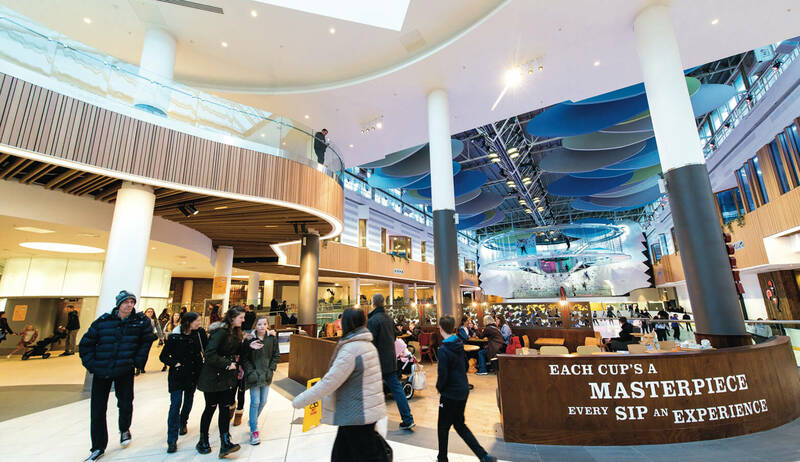 With over 1.2 million square feet of retail space, it was critical that the plan was legible, easily read and suitable for presentations to potential occupiers. 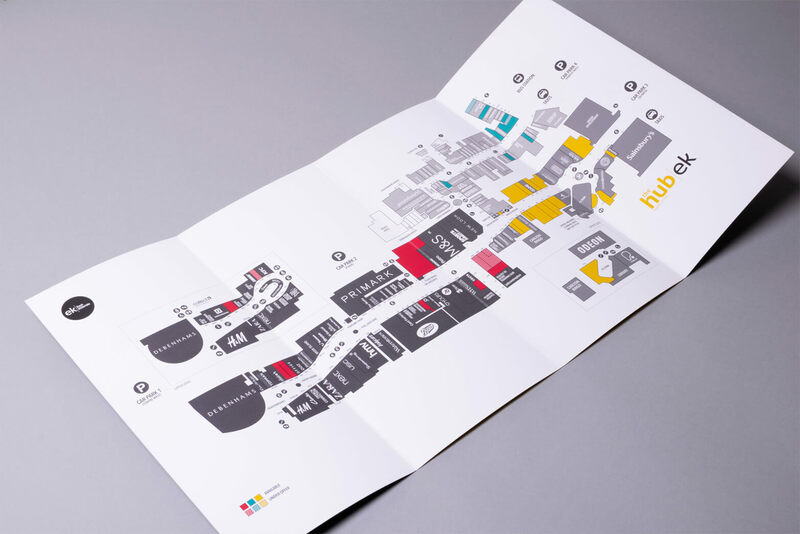 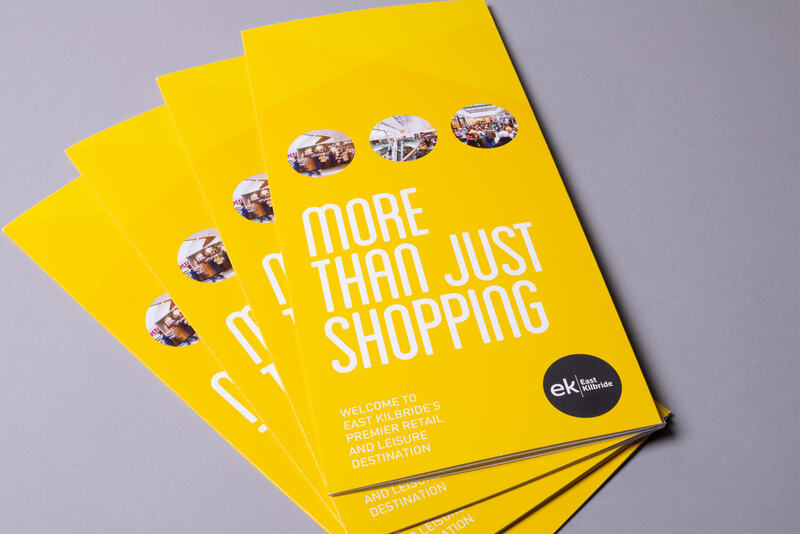 An eight-page gatefold format enabled all occupiers to be clearly identified with colour coding used to highlight all the opportunities in the Centre’s various zones.